Composer Alex Groves' concert series Solo continues on Thursday 20 July 2017 with a recital by organist James McVinnie at St Andrew's Church, Holborn. McVinnie will be playing music ranging from 14th-century works through JS Bach to the world première of Alex Groves' Curved Form (No. 1), as well as Philip Glass’s Music in Similar Motion, Meredith Monk's Ellis Island and music by Julia Wolfe. The organ at St. Andrew's Church, Holborn is a 1989 Mander instrument influenced by the great English organ-builders of the mid-nineteenth century - especially Gray & Davison, and William Hill. The upper part of the casework incorporates carving from an organ built in 1750 for the Foundling Hospital, London, to a design by Handel. The church also houses the tomb of Thomas Coram, founder of the Foundling Hospital. 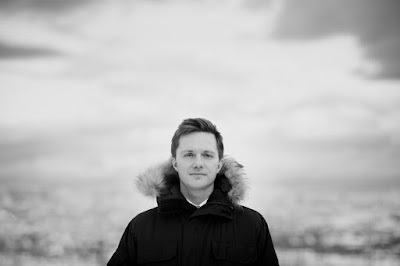 James McVinnie has held posts at St Paul’s Cathedral and Westminster Abbey and now performs around the world as a soloist, collaborating with a diverse range of artists i including Nico Muhly, Squarepusher and Turner Prize-winning visual artist Martin Creed.